Share the post "KAIPA (Hans Lundin) INTERVIEW"
Hans Lundin is a very talented multi-instrumentalist who has been providing the world of Prog Rock with albums of outstanding quality through Kaipa – a group of similarly-minded musicians who have been active since the early 70s. Being mightily impressed by the band’s latest studio album “Vittjar”, I decided to put together a few questions for Hans – which he replied to swiftly and professionally. 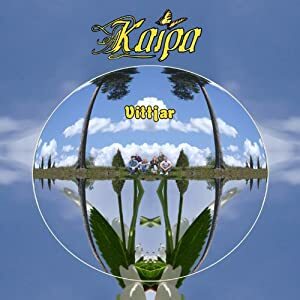 If you are interested to discover what it takes in order to create a truly inspirational Prog Rock album: the thought process behind Kaipa’s albums, as well as Hans’ general philosophy, then keep on reading. 1. Hi Hans. Thank you for taking the time to do this interview. First of all, let me congratulate you on the release of “Vittjar” which is in my humble opinion another top quality album! How would you describe the atmosphere within the Kaipa camp at the moment? Hans: Thank you! We’re overwhelmed and uplifted by all the positive reactions to the new album. 2. So far the vast majority of the reviews that I have read for “Vittjar” have been very positive, which I assume you will be most pleased to hear. I am curious, however, whether you did come across any which were, let’s say, less favourable in nature. After almost 40 years of activity in the music business do you guys get affected by people’s opinions about your music? Hans: Of course there are always some negative reviews, mostly from people who just don’t appreciate this kind of music in general, no matter how it sounds. That’s nothing that bothers me much anymore. 3. Your previous studio effort was “In The Wake Of Evolution” which was released back in 2010. Do you feel that “Vittjar” and its ‘predecessor’ share any common musical links and, if so, which would these be? How far has the band evolved musically these last two years? Hans: I’m all the time trying to take this combination of folk, fusion and rock to another level. In the 70’s we just had some small parts of folk elements in the music. Today I want to incorporate it in the music and form a whole, something new that you’ve hopefully never heard before. I think that we, for each new album with the same line-up, have more and more developed a unique Kaipa sound making it possible for all that are familiar with the band to distinguish Kaipa from other similar bands when they hear the music. This sound is a combination of the song writing and the charismatic performance of the individual musicians. 4. “Vittjar” is an album that features some really lengthy compositions, with “Our Silent Ballroom Band” standing out as the one which exceeds the twenty minute mark! When you started working on such a song did you have any inclination as to whether it would end up being as long as it did? Hans: The song “Our silent Ballroom Band” started with just one single melody and at that moment I had no idea where the inspiration should take me. I never decide in advance what I shall write and I almost never sit down trying to write a new song. I know that there are always situations, often when I don’t expect it, when a small melody or idea starts to play in my head. If I have the possibility I record a small rough outline just to remember it. Then I can return later and listen to it. If it still captures my interest I start working with this basic idea. Often it leads me into a concentrated period of song writing where one thing leads to another in a very natural but sometimes also unexpected way. 5. Two of the songs that really stand out are “Vittjar” and “Treasure-House” – the former is sung in Swedish while the latter features some very interesting Reggae tunes. Have you guys agreed on any limits on what elements can be added to the band’s music? Hans: Definitely not, it can be all types of elements but they have to pass through and be accepted by some kind of filter in my sub-consciousness. 6. Generally speaking, how do you know that the song-writing process for any musical idea is finally over, that there are no more changes to be made? What does it take for you to finally ‘let go’ and let these songs start their own life circle? Hans: For the last two albums I wrote the basic songs and nothing more. I just said stop, this is what I want to do. Then I started to develop the arrangements which sometimes leads to some small extra passages and bridges between the different main parts of the song. I often return to the main themes in a song, repack them in one or several variations. Sometimes I change the time signature or play a new melody upon the basic chord structure just to see what’s coming out of it. The song “Our silent Ballroom Band” is a good example of this way of working. It’s built around several variations of just a few main themes. 7. On a similar note: the lengthy compositions on offer contain what one would describe as technically demanding material but they are also founded upon some pretty memorable melodies which I hope could bring the band to the attention of a much wider audience. Would you say that this ‘dual aspect’ of the band’s personality was evident from the beginning of the band’s career? Hans: This is something that has grown over the years. I have a lot of experience and knowledge today that I didn’t have when I started my career. Nowadays I’m always trying to find these memorable melodies as a starting point, they are the backbone in the songs. From this starting position I can let my imagination take me out on some unexplored paths just to discover where they lead me, that’s always fascinating. 8. Is “Vittjar” the product of a band that shared and began working on its ideas in a common environment or did you opt for a more modern approach (file sharing etc)? I am asking this question as I am well aware of the various other musical commitments undertaken by members of the band. Hans: KAIPA today is not a regular band, it’s my project. That means I’m writing all the songs and I’m recording a demo where I play all the instruments and do all the vocals. This is a rough outline, like a drawing in black and white. When we start recording the songs all the other members have free hands to contribute with their own ideas as long as it’s within the basic arrangements. They bring all the colours into my drawing and make it a work of art. In my studio we record all keyboards, vocals and acoustic instruments. Morgan, Per and Jonas have their own studios where they record their parts. 9. How much time did you guys spend in the studio when recording these eight new compositions? Was there any song whose recording posed any major challenges? Hans: The recording of the album was spread out over a long period August 2011 – Mars 2012 all depending on when the other musicians were able to spend time working with Kaipa. They’re all involved in other bands and projects. Mostly we record the different parts of a song separately which means that a long song isn’t necessarily more complicated to record. 10.Was the approach to the recording and the mixing process similar to the one followed in “In The Wake Of Evolution”? Were there any funny/strange incidents that took place during the recording process that you would perhaps like to share with us? Hans: Yes it was similar. After we had finished the recording of the vocals Patrik and Aleena made some spontaneous, improvised singing which was really fun. One example is the “Now now now” phrase you can hear in the song “Lightblue And Green”. 11. Do you get at all actively involved in the production duties of your albums or do you prefer to leave such a task to other people? Are there any pros and cons related to either approach in your opinion? Hans: I’m responsible for all recordings we do in my studio and I also do the basic mix. On the two last albums I’ve handed over the final mix and mastering to Martin Igelström who is a professional sound engineer. 12. I was looking on the band’s official website in the hope of finding tour dates involving the UK but no such information is yet available. Can you please fill us in with regards your future touring plans? Hans: When I restarted Kaipa in year 2000 I decided that it should be strictly a studio project, so we never play live. 13. What would you say is the ideal live environment to perform Kaipa material: a decent size venue or an open air festival? Do you have any preferences in that respect? Hans: This question is not applicable to a band like Kaipa. 14. DVD is a format embraced by many bands nowadays, most of which have been around not even half the number of years that Kaipa have. How is this that this approach has eluded you guys thus far? Will you be making amends any time soon? 15. There have been are many top quality musicians offering their services to Kaipa over the years, Roine Stolt (of The Flower Kings) being the most high profile amongst them. Do you see the two parties joining again forces sometime in the future, something that I am sure that many Kaipa fans would be more than happy to see happening? Hans: No plans for that. Kaipa’s present line-up is my all time favourite band. 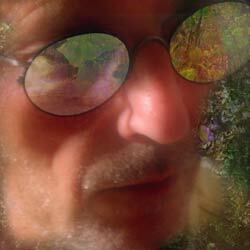 I worked with Roine 1974 – 1978 and on the albums “Notes from the past” 2002, “Keyholder” 2003 and “Mindrevolutions” 2005. After that album we decided to go separate ways and I asked my old friend Per Nilsson to join Kaipa. I met Per in the late 90’s when we recorded the album Hagen: Corridors of time. 16. Hans, you have been recording music since 1974. How do you manage to continue motivating yourself after so many years? Would you say that Kaipa have reached their true potential as yet or are there many more goals to be set and results to be achieved? Hans: I recorded my first single with my first band “S:t Michael Sect” in 1965 and I also recorded two albums with “San Michael’s” 1971–1972 before I started Kaipa 1973. I’ve been on a long and fascinating journey starting with simple pop songs, going into a more elaborated music with Kaipa in the 70’s. When I’m writing music today I think the inspiration is coming from a huge library of music, experiences, influences and ideas collected throughout all these years and hidden somewhere in my sub-consciousness. After finishing a new album I always use to think this is the last album, what more is possible to do within the Kaipa frame. But for some reason there always use to come up some new ideas especially during the autumn when darkness comes, days are getting shorter and I still have the energy from the summer in my blood. So if I find inspiration and can write something that feels new and fresh, and not just a copy of what we’ve done so far, maybe there will be some new Kaipa music, time will tell. 17. Hans, I want to complete this interview by wishing you every success and reiterate the hope to see the band performing live in the UK in the near future. The last words are yours. Hans: Thank you for your interest in Kaipa. This entry was posted in INTERVIEWS, Interviews/Rock Stars, PURE METAL (All posts), Pure Metal/Interviews and tagged Hans Lundin, Inside Out, Kaipa. Bookmark the permalink.